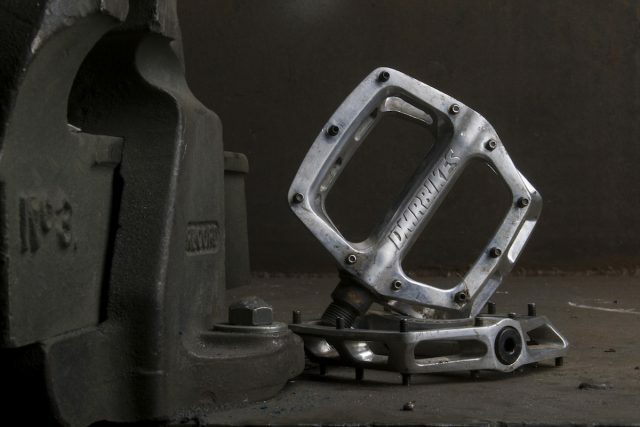 As part of that group test, we rated all 17 pedals according to several key performance characteristics including grip, platform shape, durability, and ease of service. At the end of the test period, we then presented four separate awards; Best Engineered, Best Grip, Best Budget, and Best Overall. The V8s are one of the best known flat pedals on the market. 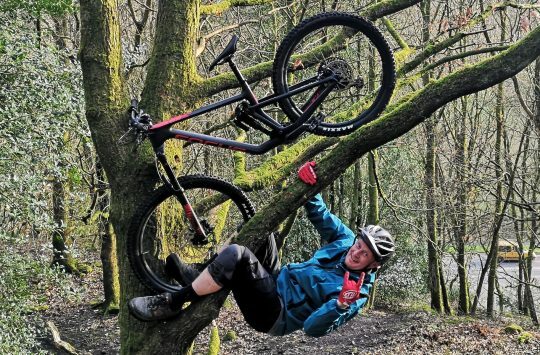 The original DMR V8s, now referred to as the DMR V8 Classic, have been around for longer than some of us have been mountain biking. They are indeed a classic design, but nowadays with so much choice, and so many sleek pedals around for the choosing, perhaps that design is looking a little long in the tooth. Enter the DMR V8 V2, a revision for 2017, more on trend and more in line with its current V12 and Vault pedals. It has a thinner profile at 23mm, and a bigger platform of 98 x 93mm. It also drops some weight compared to the old version (480g for the V2 vs. 528g for the Classic), while retaining DMR’s signature bowl shape and upgrading a few features. The front edge of the die-cast aluminium body is slightly wider than the back, and the ten pins per side are all identical grub screws. Polished finish looks good for a long time. 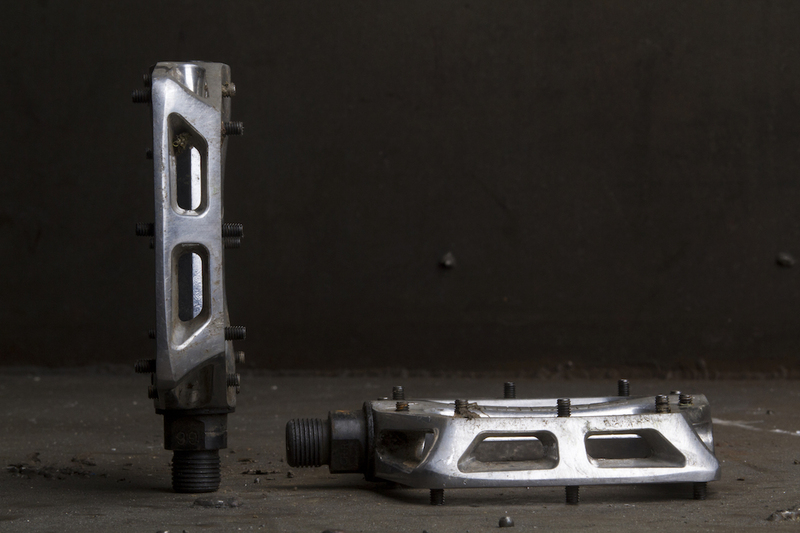 The loose ball bearings of the original V8 are gone, replaced with a pair of top hat bushings in each pedal. Internally this makes for a nice and simple pedal, though, sooner or later, grit will get in and start to eat the plastic, eventually creating play. That said, our test pair are still going strong despite being passed on to someone for regular use, and replacement bushings are hardly expensive at £1.29 for a complete set. These are going to be cheap and simple to service, and unlike DMR’s other pedals they don’t need any special tools to remove or insert bushings. The latest V8s have slimmed down to measure 23mm thick. 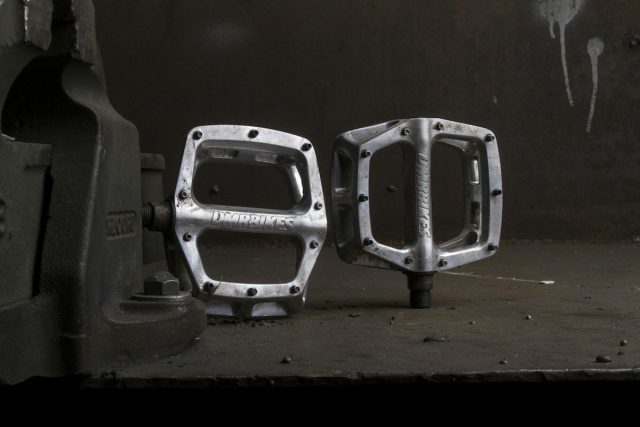 They may not be the lightest pedals, but the bulk of the bodies grants them quite a bit of toughness, as became evident as the test went on. Compared to most budget flats they also have a nice amount of curvature and ramping in the body shape, helping to deflect impacts. They come in a range of colours to suit most bikes. The polished silver pedals we had were finished well, go with pretty much any bike, and stayed good-looking throughout all the filth our local riding had to offer. DMR also sells longer ‘Terror Pins’ for the V8, which we would strongly recommend for increasing grip. If you look through the other pedals we have on test in a similar price range, you’ll find some massively varied feature sets because you simply can’t pack all features into a pedal and keep the price down. Some have more bearings, some have better servicing features, some have higher quality finishing or fancier body shapes. 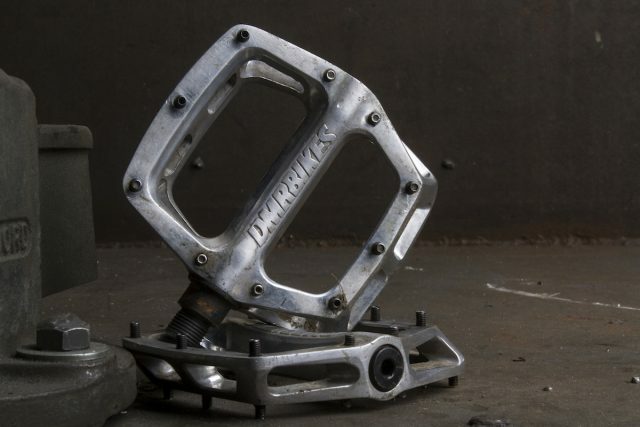 Depending on what your priorities are as a rider, there will probably be something in those features that swings the choice one way or another for you, but I’m picking these as best budget pedal. That’s not because they’re the cheapest, nor because they have tough metal bodies, but because they’re the best to ride of the lot. The bigger platform measures 98mm long x 93mm wide. The concavity is good, though not as deep as that you’d find on a pair of (more expensive) DMR Vaults. Combined with that, the pins these V8 V2s arrived with were just a little bit short for my liking. Most of the time that wasn’t a bother, but it became evident on the roughest descents where I discovered my shoes would move around just a little without me wanting them to. A second opinion from a friend, though, was that they were just right. DMR does sell kits of ‘Terror Pins’, which are basically longer M4 grub screws than the stock pins. 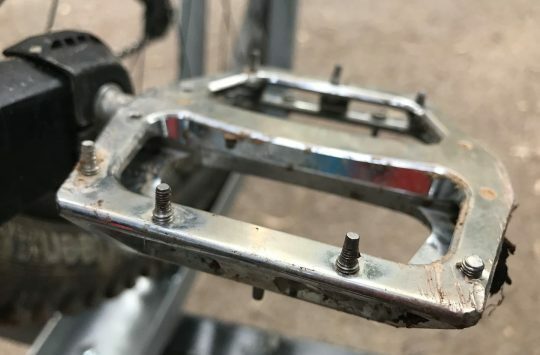 After swapping these in on the front and back holes of the V8s, but leaving the shorter pins in closer to the axles, I suddenly found them a much better pedal. Like any well-designed bike component, I didn’t have to think about them or do any foot adjustments mid-descent. They did their job with a good amount of grip. Descending, jumping, braking, climbing, muscling the bike up rocky steps, my feet stayed put throughout. 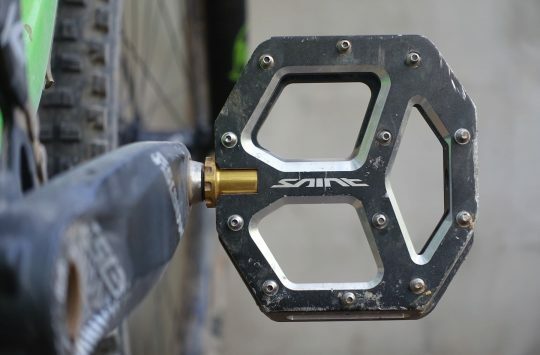 Good bike bits help you get into flow states while you’re riding, bad ones kick you out of them. The V8 V2s definitely belong in the former category. The V8s are bomber flat pedals for an impressive price. 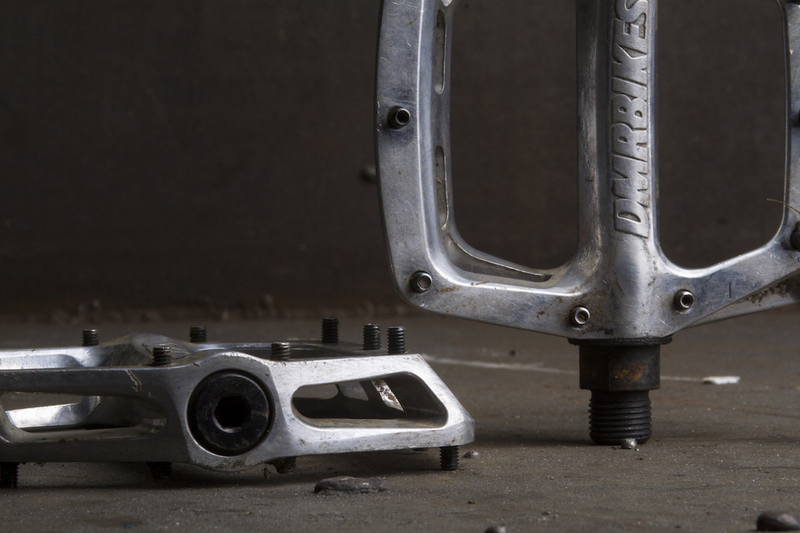 If you’re the kind of person who craves car park points, these probably aren’t for you – but what budget pedals would be? If you’re looking for something functional on a budget though, these are well worth a look. 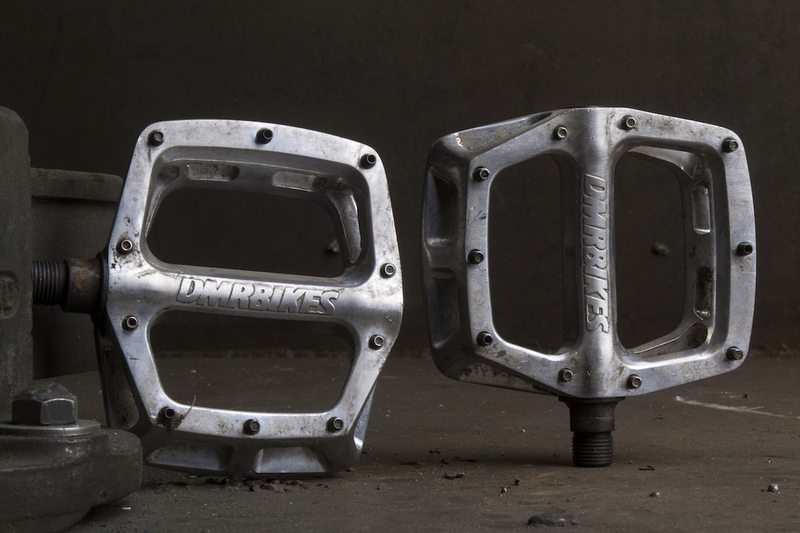 They’re a simple pedal, but a reliable, good and tough one. At the price, they’re a bargain.